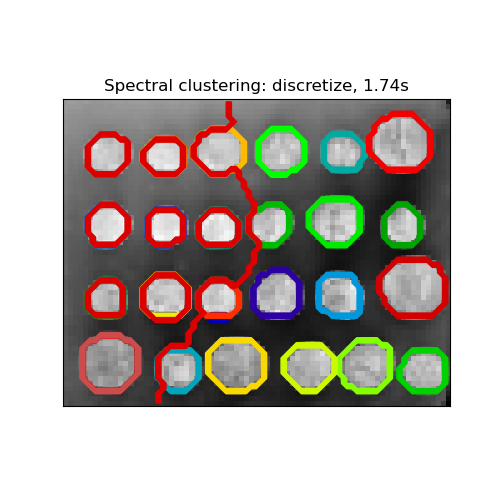 This example uses Spectral clustering on a graph created from voxel-to-voxel difference on an image to break this image into multiple partly-homogeneous regions. 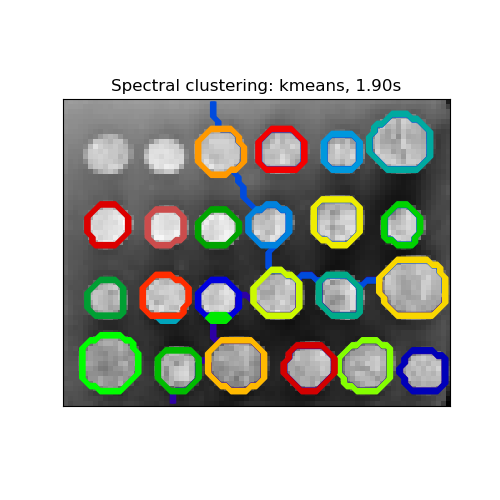 This procedure (spectral clustering on an image) is an efficient approximate solution for finding normalized graph cuts. whereas ‘discrete’ will iteratively search for the closest partition space to the embedding space.